The company is well on its way to completing the construction of India’s premier motorsports destination, the 5.14km Jaypee race circuit. Situated on the outskirts of New Delhi, near Greater Noida, and spread over 2,500 acres, the Jaypee racetrack will be a part of Jaypee Sports City. Thus reads a press release brought out by Jaypee Group , constructing the race circuit called Buddh International circuit, which will host India’s first ever F1 Grand Prix in October 2011. Construction of the track has provided an economic boost to hundreds of farmers in the area. Compensation payments made to farmers to build over their land have transformed the farmers to a wealthy lot overnight. They are constructing huge houses and purchasing expensive cars.With no land to cultivate, these wealthy farmers are out of a job, leading many to alcoholism and domestic violence. Life was tough but simple not very long ago for farmer Sanjay Singh and his tight-knit family of six who say they were content with their small piece of land on which they harvested cucumbers, vegetables and other crops. Construction of the F1 circuit has turned their lives upside down. “We sold away our land for the organisers of the race,” Singh told AFP while supervising the construction of his new two-storey house in Dankaur-Sarlarpur village which overlooks the race circuit. “We are building a new house and we have a car now, but we are not happy because our means of livelihood which was farming has been snatched away,” he added. Singh says there is “ill-will among the villagers” because of jealousy and suspicion. In some villages, farmers have been unhappy with the compensation paid to them. However, a spokesperson for JPSI, the firm promoting the event, said all the land required for development of the Formula 1 motor racing track at Dankaur had been acquired under a compensation plan that farmers had agreed to. It is hard to say whether the transformation of these farmers is for good or for worse. Read more here. Over 300 farmers whose lands were acquired for Jaypees Formula One race track threatened to dismantle the racing track with force if necessary if their demands were not met. The farmers are opposed to the districts land being given to the builders. Instead, it should be allotted for industrial purposes so that our children may have employment in the future. Read more here. Saffron is known to be the world’s most expensive spice. 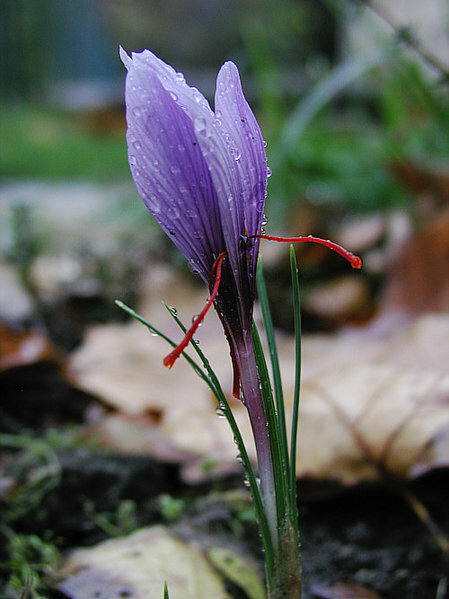 Derived from the flower Saffron Crocus, it is used for culinary and medicinal purposes. It is also used as a fabric dye. About 150,000 flowers yield one kilogram of saffron. Numerous uses of saffron coupled with limited areas of cultivation make it the most sought after spice. (But it is not lucrative to grower since very little of the purchase price reaches the growers. )India is the third major producer of saffron behind Iran and Spain. In India, the plants are cultivated primarily in Kashmir. In the past , armed conflict in the valley affected the cultivation. Today, construction and industrial activities are responsible for decrease in land under saffron cultivation. From 7000 hectares in Pampore tehsil alone in 1990, the land under saffron cultivation has reduced to 3600 hectares in entire Kashmir. According to officials and cultivators, mindless construction of residential houses amidst the fields is one of the major cause for this. The state legislature has a law to prevent such constructions. Unfortunately, it exists only on paper and is not implemented. “The legislation is there but enactment of these laws is not in the hands of officers in the Agriculture department,” Nigeen Ahmad Lone, the Chief Agriculture Officer of north Kashmir’s Pulwama district, said. Also, a lack in irrigation facilities is seen as another cause to saffron cultivation. The saffron industry has also suffered due to sale of fake product in the market. The Government has set up the National Saffron Mission to enhance the quality of saffron by providing irrigation facilities and best marketing opportunities to the growers at their door steps. Whether the common grower will benefit from the government policies, or whether there will be an increase in the saffron yield due to government policies is yet to be seen. Further reading: Saffron productivity and weather: A research paper from Indian Meteorological Society. These farms are not for sale! This project also intends to provide connectivity between Noida, Ghaziabad, Faridabad, and Meerut with Agra, Aligarh, and Mathura. Government hopes that increased connectivity and reduced travel time would open up opportunities and further the economic development of the state. Visit Yamuna Expressway for more details. The six- to eight-laned Yamuna Expressway, earlier called Taj Expressway, has a total stretch of 165.5 km and covers nearly 334 villages of Gautam Budh Nagar, Bulandshahar, Aligarh, Mahamaya Nagar (Hathras), Mathura and Agra districts in Uttar Pradesh. In its undying quest for ‘development’, the Uttar Pradesh government is keen on converting farms to concrete buildings. In a recent Business Standard article, Sreelatha Menon writes how the farmers in Uttar Pradesh are adversely affected by the state’s action to purchase their farms. The farmers refused to give their fields to the government. And later, they asked for a higher price. The government sent police to seize their land. They first stopped the farmers from entering their fields. The next day, they started levelling the fields, cutting standing crops of cane and wheat. Chaudhury Bhura’s 26 bighas bear no sign of the cane that stood there till a week ago. They came and flattened the land, removing all standing crops under police supervision, said Bhura. According to the article, the farmers had not entered into any deal with the government or any third party to sell their land. Nor are they upset about the expressway taking their land. Farmers are uneasy about why they should give up their fields for ‘townships’? It hurts them that the government is giving a low price. But what angers them is that they will be landless soon. Whatever money they get will not buy them these fields again, the old men say. In related news, India commits $4.2 billion to buy farm land in Ethiopia. Across large tracts of land in Himachal Pradesh, hailstorms have wrecked havoc on various fruit and vegetable crops in the region. According to various reports, over 50% of apple bloom has been destroyed this year in the lower apple belts. In a laudable initiative to minimize the losses suffered by farmers/growers due to inclement weather (hail), the government has installed anti-hail guns in Himachal Pradesh under a pilot project with a budget of 27 crores. This is the first time in India that anti-hail guns have been installed. Though anti-hail guns have been used in many countries such as USA, Israel, and Netherlands with a 50% success rate, their technical capability to diffuse hail has not been scientifically proven. So, while the intent of the government is good perhaps more thought and research should have gone into selecting the technology for the pilot project. Climate conditions, including decreased snowfall are adversely affecting crops. On one hand we are destroying our forests and ecosystems, and then we are attempting to arrive at a weather solution using technology… Isn’t there a disconnect? On a related note, The National Agricultural Insurance Scheme , has insured crops such as maize, paddy, potato, and barley on a pilot basis. (A list of crops covered by the insurance scheme in various states can be viewed here.) 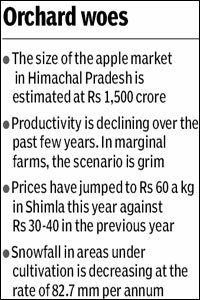 At the Himachal Pradesh state government’s insistence, apple and mango had been brought under the crop insurance scheme on a pilot basis in 2009-10. Are anti-hail guns really needed? Until a couple of years ago, cultivation of Bhut Jolokia, a variety of chili was confined to kitchen gardens. During the financial year 2009-2010, the Assam Government, under the horticulture technology mission has taken up 500 hectares of land for cultivation of Bhut Jolokia. Farmers are provided incentives for the cultivation. Against Rs 13,000 per hectre provided to cultivator of Bhut Jolokia in 2009-10, the amount has been raised to Rs 18,750 in the current financial year, C R Hazarika, Director In-Charge of State Horticulture Department said. The sop is provided for purchase of seed and equipment as part of the second generation state horticulture mission programme launched last year, he said. Besides, the beneficiary also gets one free tube well under the programme, he added. Source: PTI. So, what is Bhut Jolokia? Bhut Jolokia, also called Naga Jolokia, and ghost chilli, is a naturally occurring inter-specific hybrid indigenous to the Assam region of northeastern India. It has been eaten in northeast India for centuries. Locals use this chili for making pickles. In February 2007, the Guinness World Records named it the hottest chilli pepper. Cultivation of this variety of pepper has increased because of its high export value. While it sells at Rs. 300 to Rs.350 per kg in the local market, it reportedly fetches Rs. 1,500 per kg in Arab countries. Image above shows the ‘spicyness’ index or ‘Scoville’ value of Bhut Jolokia. Commercial cultivation of the crop is increasing and has spread to neighbouring states of Nagaland and Tripura too. Apart from Bhut Jolokia’s laurels as the hottest pepper in the world, different experiments on its uses including in the health care industry, and defence industry has increased its demand. The north-east region of India has been gripped by violence and bloodshed for more than a decade now. Amidst the increasing crisis of the dominant tea industry, cultivation of Bhut Jolokia brings a ray of hope for farmers of this region. Numerous studies have linked the use of pesticides and chemicals to diseases such as cancer. Researchers attribute an increase in stillborn babies, and ailments such as renal failure, to the misuse of pesticides. Widespread use of pesticides has contaminated drinking water supplies and is linked to other life-threatening diseases. Source: Time Magazine. A more painful reminder is the scene at the Bhatinda railway station in Punjab. At 9.20 pm everyday, a passenger train leaves Bhatinda town for Bikaner in Rajasthan. The train is known as the Cancer Train as it carries patients and their families to the cancer treatment center.The patients are bound for the Acharya Tulsi Regional Cancer Treatment and Research Center. Pesticide companies blame farmers for not adhering to prescribed quantities and not using protective gear. Workers who spray the chemicals blame landlords for not investing in protection, and companies for not properly informing them of the dangers of exposure. Farmers claim it is greedy dealers who push them to spray more, and also blame the government’s failure to change its policies after the harmful side effects of the Green Revolution began showing. The rampant poisoning of soil and water due to excessive use of pesticides and chemicals has left the once fertile regions barren. Unable to bear the predicament of a lost livelihood and inability to repay huge loans, farmers are committing suicides. Arunachal Pradesh is the eastern most state of India. It shares its border with Burma(Myanmar) in the south east, Bhutan in the northwest, and Tibet in the north. Power lines do not extend to remote areas, forcing people in the far flung villages of this state to live in darkness for decades. Recently, that changed, thanks to the Illumination of Remote Border Villages through Solar project Under Prime Minister’s Package. The project was completed by the Arunachal Pradesh Energy Development Agency. “Our long wait for electricity is over. It is like a dream come true. It is a journey from darkness to light for us as our homes have finally been illuminated,” Sherab Choedon, a villager of Monigong in West Siang district, said. According to reports, altogether 364 villages were electrified during the past four months. With this, at least 5,852 households with 26,198 people in 523 hamlets have stepped out of darkness. The districts of Anjaw, Tawang, East Kameng, Kurung Kumey, Upper Subansiri, Dibang Valley, West Kameng, West Siang, Tirap and Changlang were covered under the project. The project has helped light up the lives of villagers from Shepedung, the last hamlet on the Sino-Indian border in Tawang, to Namchik, a nondescript village in Changlang district along the Indo-Myanmar border with the help of solar-powered incandescent CFL bulbs. The Illumination of Remote Border Villages through Solar project Under Prime Minister’s Package has also helped provide electricity to remote villages in Jammu and Kashmir. It will be helpful if the government initiates and undertakes projects to provide electricity to villages across India. Read more here. Given the increasing number of mobile customers in rural India, the idea of a phone-based information dissemination system has been floating around for a while. The high costs of information propagation was a major setback – until now. Such a service primarily targeting the Indian Farmer is the Rural Interactive Voice Response System(IVRS). This System supports 7 Indian languages (Hindi, Marathi, Gujarati, Punjabi, Kannad, Telugu and Tamil) with another 7 languages to be added shortly. This multi-lingual IVRS provides complete, reliable and high performance software solution for rural India. 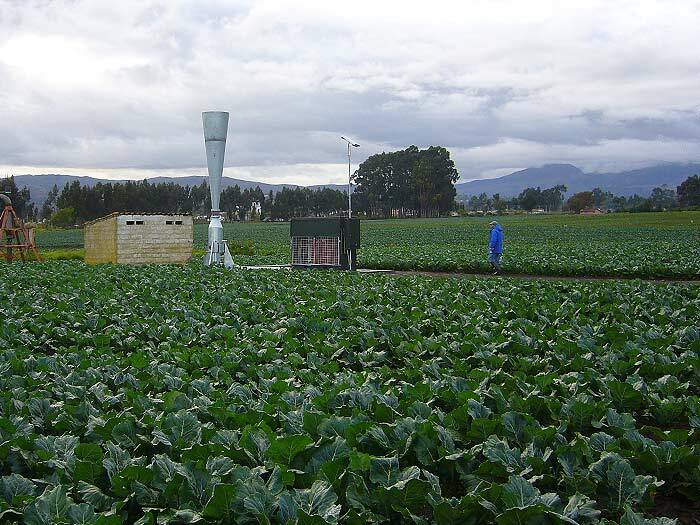 The farmers can create their personalized service comprising of localized weather updates, crop advisory, agricultural rural news and market prices in 11 states, from a wide menu of 250 crops and 1200 local and national markets, in the local language of their choice. It provides filtered information to the needs of a rural user in a language he understands through normal telephone beyond any terrestrial boundaries. Drishti Soft Solutions Pvt Limited, and G.S. Management were responsible for engineering this social innovation in our country. I do hope this is a harbinger of a multitude of technological innovations that would benefit and aid in the development of rural India. Read more here. Umling, is a village deep in the mountainous range of Meghalaya. Villagers live off the land to support themselves. There are no roads and no water supply. Infants play covered in mud and grime, being nursed by their elder siblings. Other children, no older than eight years old, are carrying loads twice their size and weight on their backs, helping out with the household responsibilities. Situation is not any better for the elderly, who toil in the fields everyday without any respite. There aren’t any employment opportunities for the younger generation either since there are no industries due to militant threats. Unfortunately, this is a sight common to most of the North-East region of our country. Insurgency is a chronic problem and the region’s geography is also a contributing factor. Over 98% of the region shares international borders with China, Myanmar, Bangladesh and Bhutan. In the last few years, a lot of money has been allocated by the government for infrastructure development. One such government-led initiative is the Export Promotion Industrial Project, set up at Byrnihat, in the Ri-Bhoi district of Meghalaya. In this industrial zone, firms are provided basic infrastructure and incentives, like tax holidays and subsidies, to set up their operations. The locals are of the opinion that the industries are exploiting them and their region. Unless that dichotomy is resolved, development may be far-fetched for this region. Read more here. Villagers across eight districts of Punjab have urged the state excise department to prohibit allotment of liquor vends in their villages. “The government should help us by discouraging availability of liquor. We do not want that the village youth spoil their life by falling prey to alcohol,” said Jarnail Singh, a sarpanch from Sangrur district. The excise department generates a lot of revenue through liquor distribution, which has resulted in availability of liquor even in remote villages. Villagers are concerned that this is affecting their youth in a detrimental way. “We are ready to take legal recourse if the department does not heed to our plea”, said Gurnam Singh, a sarpanch from Patiala district. Villagers argue that easy availability of liquor had led to the village youth getting addicted to alcohol from early age. While the action of the excise department remains to be seen, closing liquor shops cannot altogether curb the menace. In many parts of our rural areas, despite many anti-liquor agitations and movements, liquor is sold illegally. But in some areas, community policing, has helped make a difference.